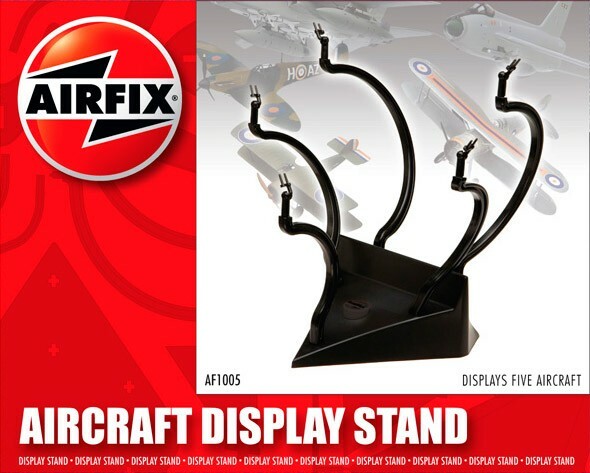 This aircraft display stand allows five models to be displayed in a flight configuration. All five arms are detachable to allow up to five aircraft to be displayed at any one time. Designed for 1:72 scaled aircraft and some 1:48 depending on size and positioning of the arms.